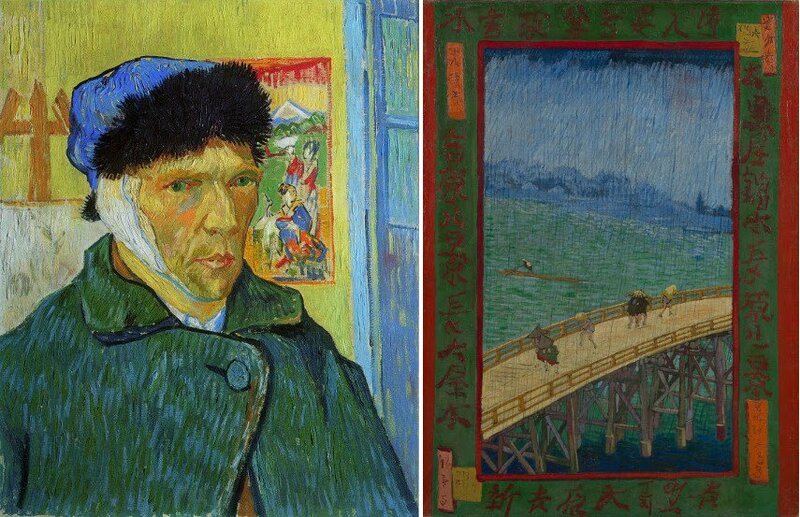 During the years he spent trying to establish himself as a noteworthy painter in Paris, Vincent van Gogh gradually fell under the spell of Japanese art. 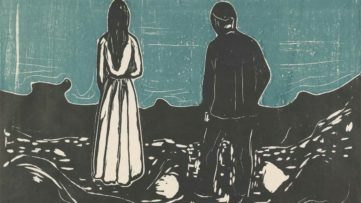 The exposure to the artworks hailing from the Land of the Rising Sun gave the Dutch painter a new creative direction, one which will be put under the microscope during the forthcoming exhibition called Van Gogh & Japan, a show taking place at the Van Gogh Museum in Amsterdam during the spring of 2018. This major international showcase focuses exclusively on the impact Japanese arts had on the work of Vincent van Gogh. It shall feature about sixty paintings and drawings made by the Dutch artist, as well as a rich selection of Japanese prints of various origins. Ultimately, Van Gogh & Japan will explore the extent of van Gogh’s admiration for Japanese art, as well as just how strong of an impact artworks made half a world away from him had on the leading painter of Post-Impressionism. While his career surely had a lot of negative milestones, Vincent van Gogh’s encounter with Japanese printmaking can be counted among the much rarer positive ones. This time of Vincent’s life saw him become fascinated by ukiyo-e, the nineteenth-century Japanese color woodcuts. Not only did van Gogh start attempting to emulate ukiyo-e visuals, but he started to collect them on a large scale as well. He admired their unconventional compositions, the large planes in bright colors and the focus on details in nature. The three striking paintings Vincent made after Japanese prints while he was in Paris were his first explorations of this new artistic model, but he soon evolved and swiftly came to identify Japanese arts as a benchmark for his work. 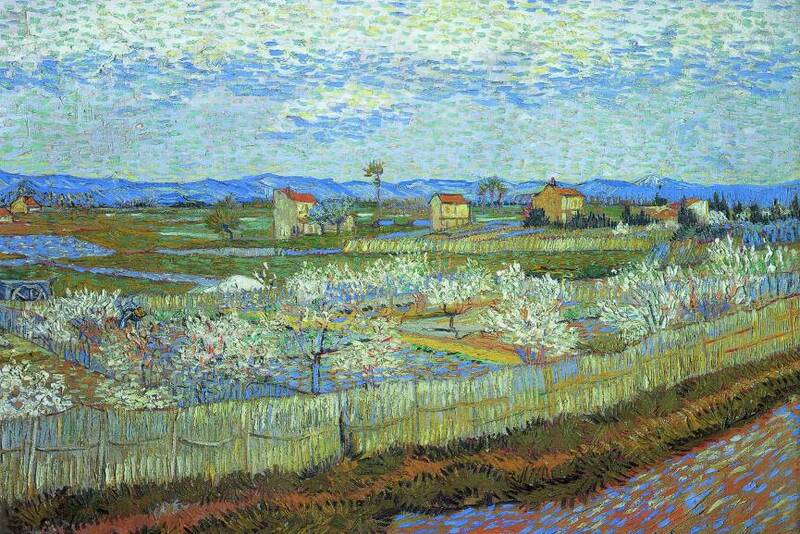 Suddenly, van Gogh began to work exclusively in the spirit of the oriental examples in his possession. 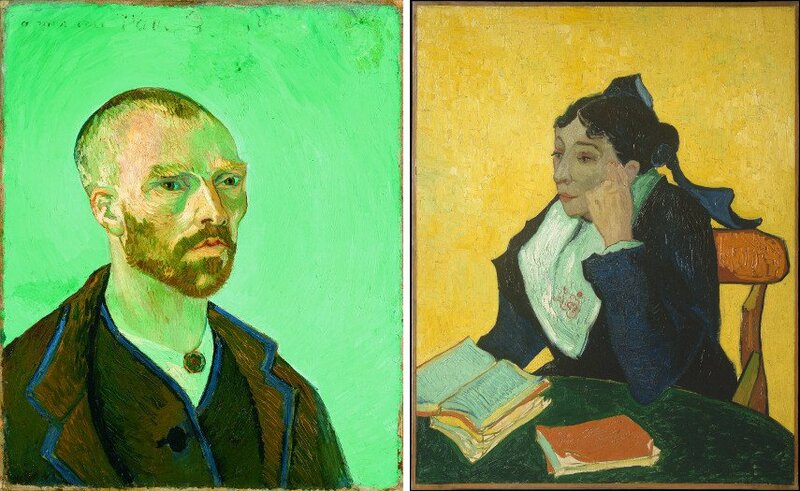 His work was introduced to a new emphasis on a bold, colorful palette, something Vincent hoped might spark a bit of public interest in his work. Due to his poverty, it’s hardly surprising that Vincent van Gogh never went to Japan. 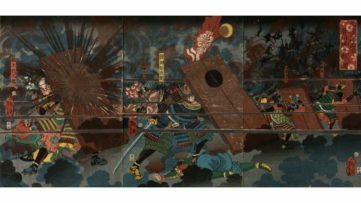 Instead, he settled for the next best thing – the artist created his own image of the country through Japanese prints he eagerly collected and closely studied. Analyzing and imitating these prints led van Gogh to a modern, more decorative style of painting. His work became a lot more bright, with striking divisions of the picture plane and strong outlines. It is said that van Gogh had purchased over 600 Japanese prints from a dealer during the peak of his interest in Japanese artworks. 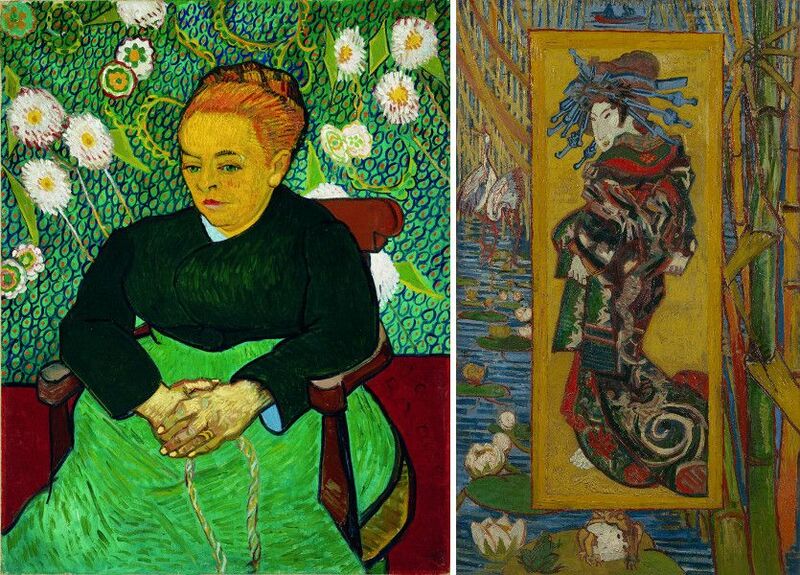 All of these pieces were hung in his studio where Vincent gradually absorbed their visuals – more than a hundred of these artworks shall be presented during the upcoming Van Gogh & Japan exhibition. Outstanding loans from museums and private collections all over the world will be arriving in Amsterdam in order to be featured during the Van Gogh & Japan show. Among them, Self-Portrait with Bandaged Ear (1889) will be the definite highlight, especially when you consider the fact this fragile piece has not been shown in the Netherlands since 1930. Very much in the spirit of the upcoming exhibition, this painting has a depicted Japanese print in the background, which is just another testament to the artist’s love for oriental art. Another highlight will be Self-Portrait (1888), a painting in which van Gogh portrayed himself as a “bonze” – a Japanese Buddhist monk. Other noteworthy loans are Woman Rocking the Cradle (Augustine Roulin) (1889), The Arlésienne (Marie Ginoux) (1888), La Crau with Peach Trees in Blossom (1889) and Undergrowth with Two Figures from Auvers-sur-Oise (1890) – this last piece is particularly important as it proves van Gogh continued to observe the world with his “Japanese eye” throughout the last chapters of his life. Alongside all the loans that will be making their way to Amsterdam during the spring of this year, curators of Van Gogh & Japan exhibition will feature numerous works from the Van Gogh Museum. Among them, Courtesan (after Eisen) (1887) and Almond Blossom (1890) really stand out. Besides exhibiting Japanese prints from Vincent’s personal collection, the forthcoming show will also present many prints from other collections, including the famous color woodcut Under the Wave off Kanagawa (c. 1830–32) by Katsushika Hokusai. All of these pieces grouped together will demonstrate how Vincent van Gogh was able to find his own Japan in the beautiful countryside of Southern France where his work basked in strong sunlight and bright colors. Unsurprisingly, this event will be the first time that an exhibition of this scope and scale is devoted to the subject of Japanese influence on Vincent’s oeuvre. It will show how the art of this Eastern country played a decisive role in the direction Vincent took as an artist, as well as how it was able to grant the troubled painter some form of satisfaction he desperately needed. The Van Gogh & Japan exhibition will take place between the 23rd of March and the 25th of June 2018 at Van Gogh Museum in Amsterdam, Netherlands. It should be noted that the tickets for the event shall be exclusively available online – you can get yours via this link. This gorgeous publication offers a detailed exploration of the influence Japanese printmaking had on Van Gogh’s creative output. Gradually, this enchanted world became Van Gogh’s main artistic reference point and, from this moment on, he positioned himself as an artist in the Japanese tradition to establish his reputation among the avant-garde of the day. This catalogue is lavishly illustrated with paintings and drawings by Van Gogh, as well as a selection of the Japanese works that so captured his imagination. 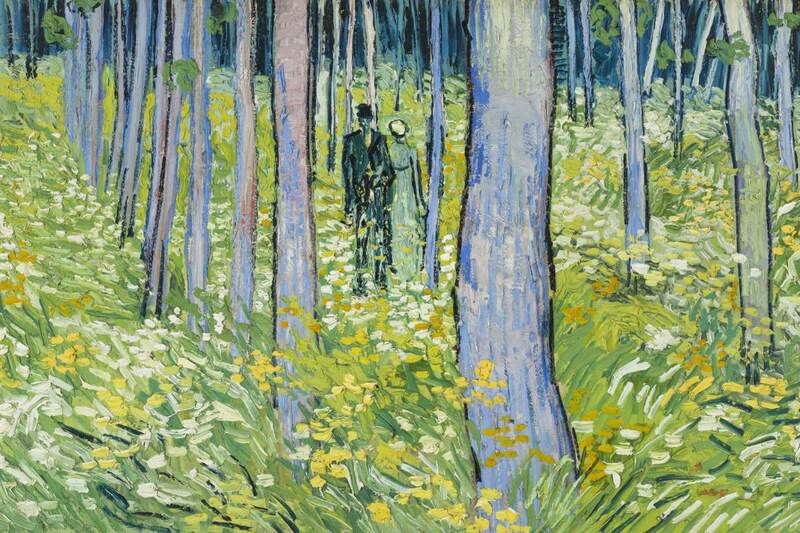 Featured images: Vincent van Gogh – Undergrowth with Two Figures, 1890. Cincinnati Art Museum, Bequest of Mary E. Johnston, 1967; La Crau with Peach Trees in Blossom, 1889. 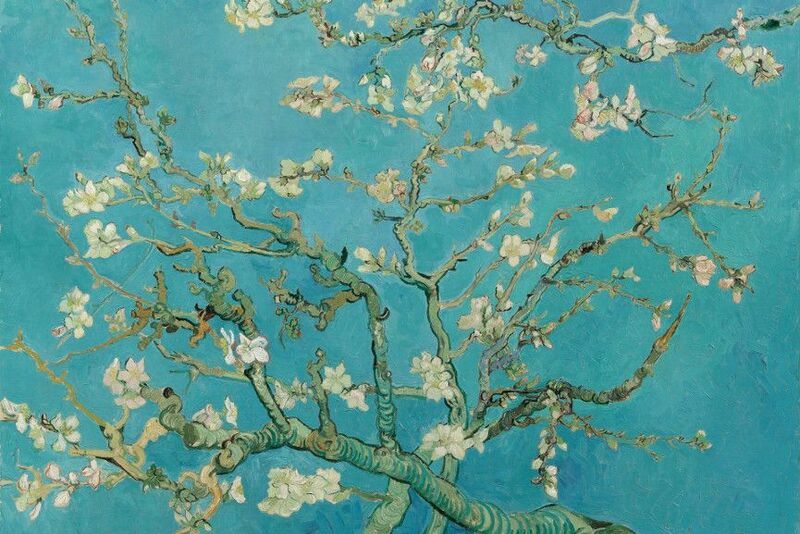 The Samuel Courtauld Trust, The Courtauld Gallery, London; Almond Blossom. 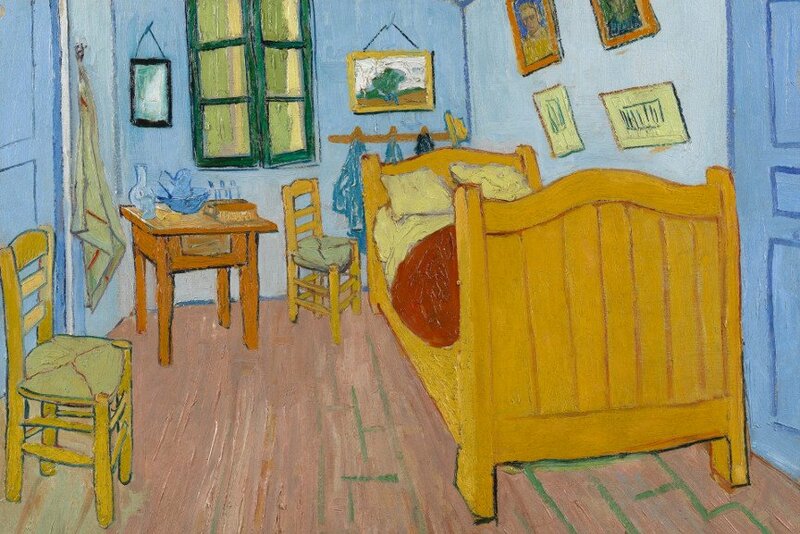 Oil on canvas, Van Gogh Museum, Amsterdam (Vincent van Gogh Foundation); The Bedroom. Oil on canvas, Van Gogh Museum, Amsterdam (Vincent van Gogh Foundation). All images courtesy of Van Gogh Museum.